Sketches of Canada for October 5th! The legendary Shawnee chief, Tecumseh is killed in the Battle of the Thames. 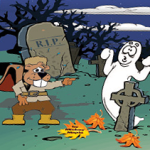 This Canadian History for Kids, Sketches of Canada, looks at this brave hero. 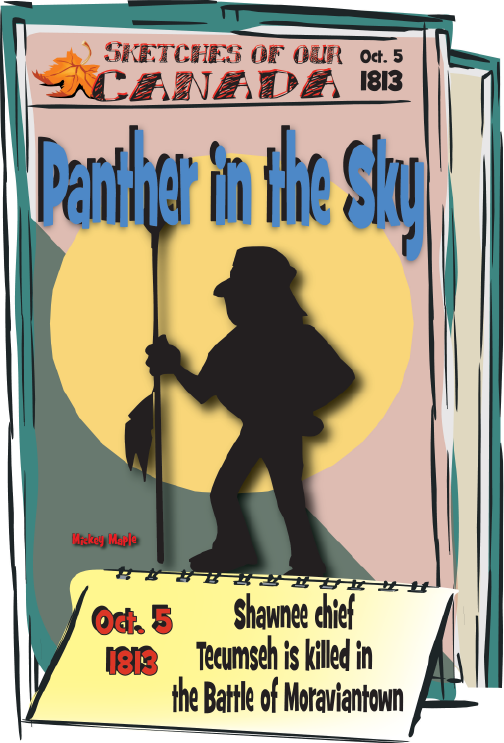 Tecumseh in Shawnee means “Shooting Star” or “Panther In The Sky”. This Canadian History for Kids article begins when Tecumseh was born about March 1768. Tecumseh is believed to have been born in a Chillicothe along the Scioto River, near the present-day city of Chillicothe, Ohio. This Canadian History for Kids article continues at age 15, after the American Revolutionary War, when Tecumseh joined a band of Shawnee who were determined to stop the white invasion of their lands. Tecumseh became the leader of his own band of warriors. Tecumseh joined the British against the Americans in the War of 1812. His support for Major-General Sir Isaac Brock at the capture of Detroit was important. As a brigadier general, Tecumseh led over 2,000 warriors and fought at the sieges of Fort Meigs, and Fort Stephenson, and his last battle was the Battle of the Thames at Chatham Ontario. There, clothed in traditional Aboriginal deerskin garments, he was killed leading his warriors in a final stand against the invading Americans. Did you know that there is a curse named after Tecumseh? The name the “Curse of Tecumseh” or “Curse of Tippecanoe”. Tecumseh’s brother Tenskwatawa, known as the Prophet, supposedly set a curse against William Henry Harrison. He is the man who led the battle for the United states when Tecumseh died. Harrison would become the President of the United States after the battle. Tenskwatawa set a curse against Harrison and future White House occupants who became president during years with the same end number as Harrison. “Curse of Tecumseh” or “Curse of Tippecanoe”. This is what has happened since the curse. Elected 1840, William Harrison died of Pneumonia. Elected 1860 Abraham Lincoln was assassinated. Elected 1880 James Garfield was assassinated. Elected 1900 William McKinley was assassinated. Elected 1920 Warren Harding died of a heart attack. Elected 1940 Franklin Roosevelt had a cerebral hemorrhage. Elected 1960 John Kennedy was assassinated. Elected 1980 Ronald Reagan had an attempted assassination. Elected 2000 George Bush had an attempted assassination.